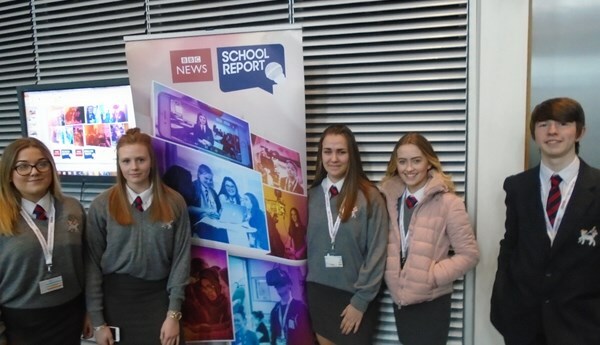 On Wednesday 27th February 2018, five students from St John Baptist CIW High School (Cerys, Amber, Darius, Sophie and Alice) were given the wonderful opportunity to take part in the BBC School Report. The event took place in the spectacular home of modern dance and performance: the Millennium Centre, Cardiff Bay. 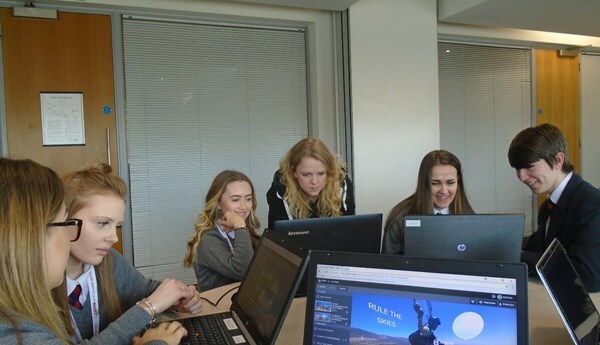 The students were joined by pupils from other schools where they found out about how media and journalism is being transformed through digital technology. Students were given a range of exciting and enjoyable workshops to complete throughout the day. The first activity they took part in was called 360 VR. This entailed creating 360 degree virtual reality videos which may be tailored to tourism and promoting certain places or creating a bucket list of dream locations they would like to visit and experience or dream animals they would relish encountering. 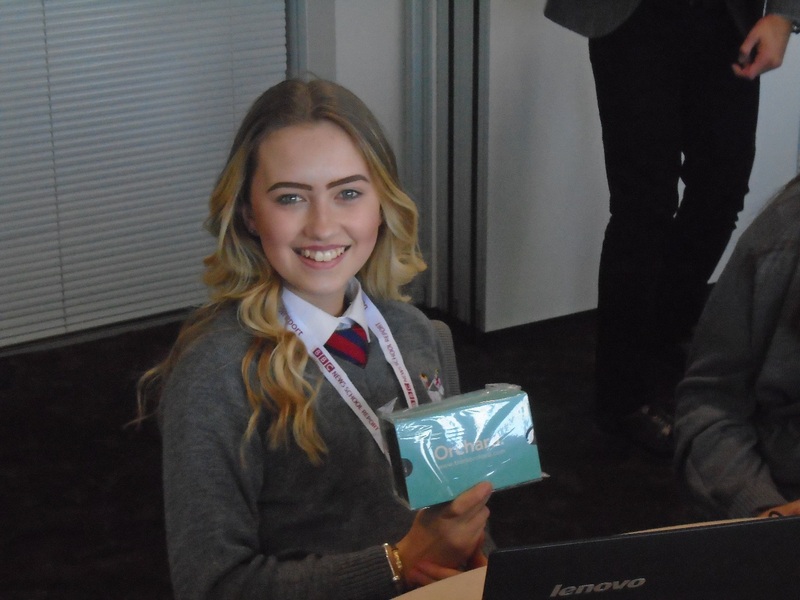 One pupil, Cerys, even won a prize during this workshop for the imagination and perseverance she put into her presentation. She was able to win a Google 360 degree device to help her imagination flourish while on the comfort of her own phone. Students were then given the time to relax and take a coffee and snack break before attempting the LEGO Coding workshop. This involved the students working together to develop a Lego vehicle which when powered could manoeuvre a racing track with sharp bends and long straights. The students worked hard under strict time restraints to produce an efficient and effective machine which completed the track in 22 secs. Impressive skills were on show as Sophie helped code the movements of the vehicle in order for it to complete the track in a competitive time. Following a lunch break, students were then given the chance to complete a digital profile of themselves. The purpose of the workshop was to help instil confidence in the pupils and make them realise just how much ability they already possess combined with an exciting and diverse skill set they had which would aid them in any line of work they wish to pursue. Students were responsible for filming each other and producing a video CV of themselves which explored the skills and interests each candidate had. Cerys in particular shone at this explaining how much success she has already had in acting and how she wishes to pursue a career in performance and dance in the future. All the students enjoyed the day and were a pleasure to take. It was a great opportunity to showcase the talent on show in St John Baptist CIW High School.